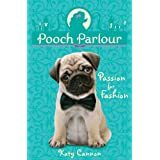 BleachHouseLibrary.ie: " Pooch Parlour - VIP (Very Important Pup) " by Katy Cannon. Guest Review from Cassie aged 10.
" 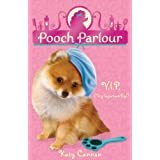 Pooch Parlour - VIP (Very Important Pup) " by Katy Cannon. Guest Review from Cassie aged 10. I received a review copy of this book from Stripes Publishing and passed to our regular guest reviewer, Cassie Morse, who is 10 years old. I loved this book. I was stuck to it when I finished my homework each evening. I loved Lulu and Abi. they are staying in Aunt Tiffany's Pooch Parlour and they go on an adventure with a popstar. Abi gets to pick clothes and wash puppies with scented shampoos (for doggies, of course). I love this book and I hope Katy cannon writes even more of these super books!!!!! 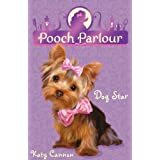 How adorable are the pooches on all of Katy Cannon's books?????? Suitable for age 7 up. These titles are published by Stripes Publishing and are available in paperback from all good retailers. I have added a buy link below for anyone who wants to order on-line.